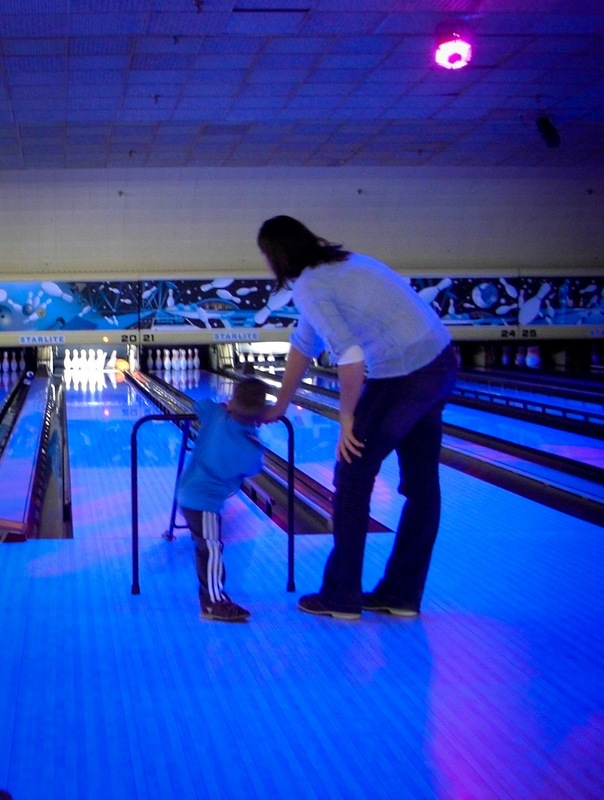 My family likes to go bowling on New Year's day. Some years there's a big group of us. Some years it doesn't happen at all. This year we had bumpers in the gutters, so my score was pretty good. This year the most entertaining part was my 5 and 3 year old nephews. 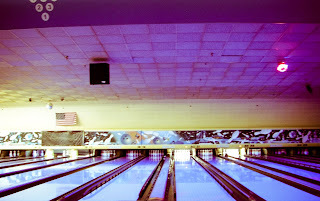 As I sat in the black-lit bowling alley, listening to the sound of bowling balls on wooden floors and falling pins and smelling that bowling alley smell, an American flag hung over the lanes and I thought, "Yeah, this feels pretty American." How nice for a bit of home.